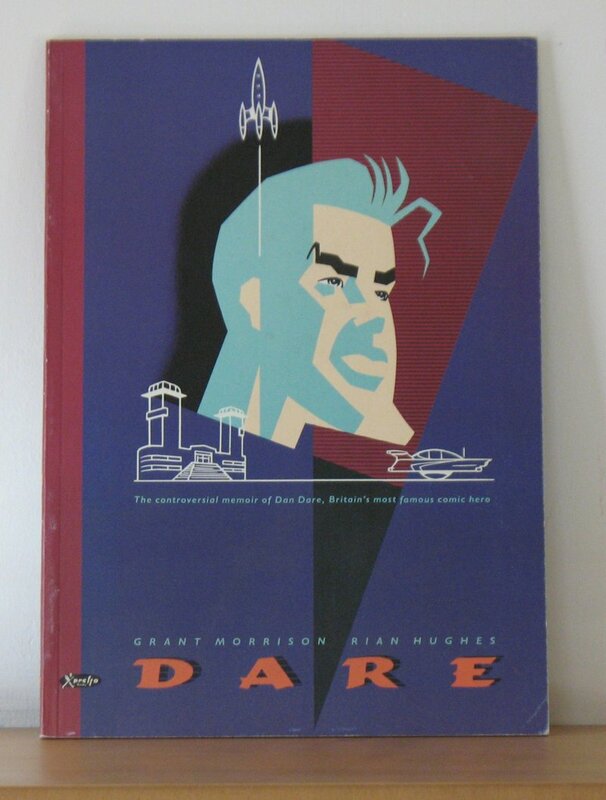 In my post on Dan Dare last week (see here), I mentioned I owned a copy of Dare by Grant Morrison and Rian Hughes, but seemed to have lost it. If you’ve seen my flat, this probably isn’t much of a surprise. Fortunately, while digging out some books for a post on bandes dessinées – which will appear later today – I stumbled across it. The cat hadn’t sold it on eBay, after all. Dare was originally published in Revolver, from 1990 to 1991, but the comic folded before the last installment, so it was completed in Crisis, a 2000 AD spin-off. The trade paperback edition was published in 1991. Copies are not especially hard to find these days, and it’s worth getting. Categories: dan dare, graphic novels, science fiction | Permalink.